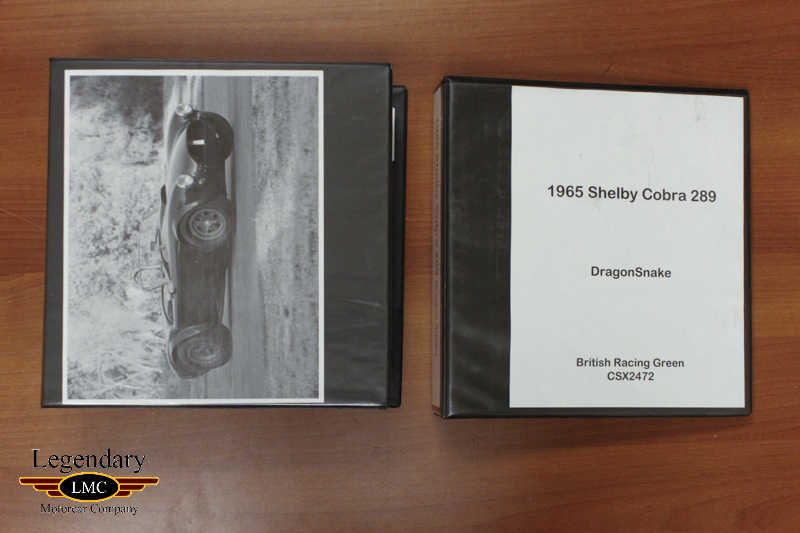 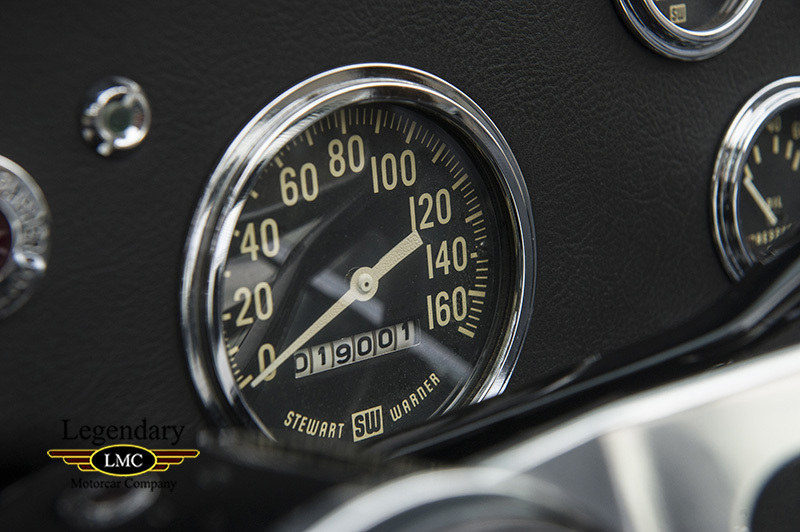 Click any thumbnail below to display the 1965 Shelby Dragon Snake Cobra slide show. 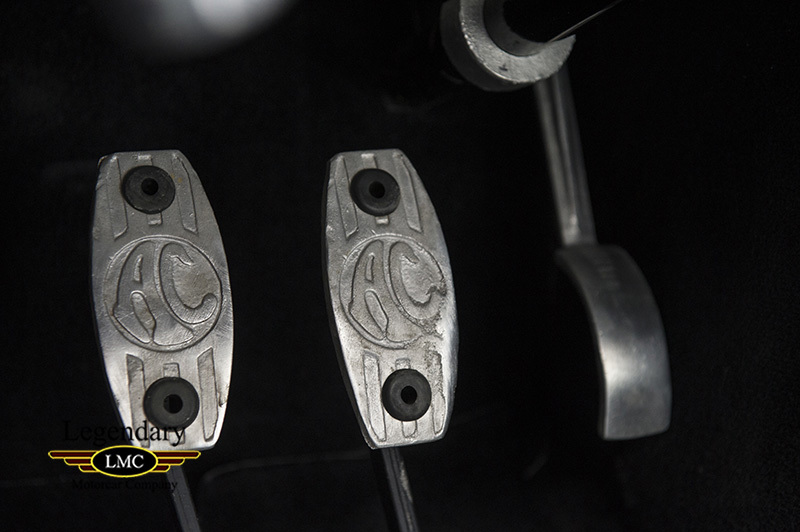 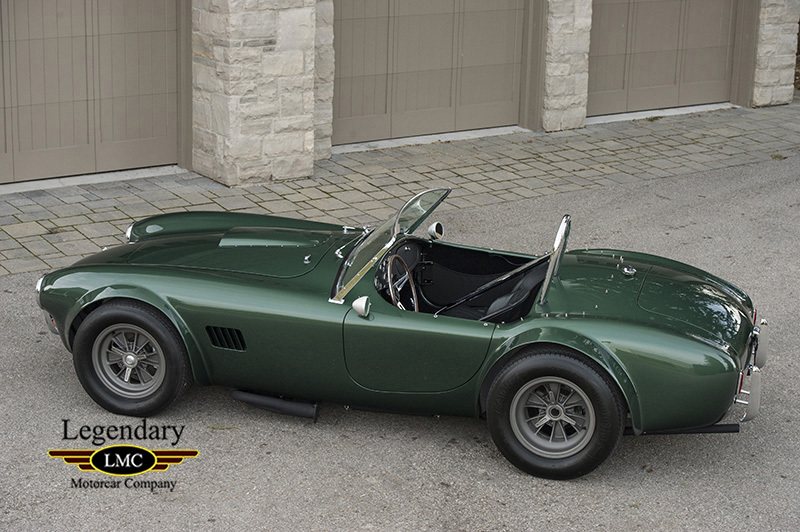 Carroll Shelby and his famous Ford powered Cobras need no introduction to any motorsports enthusiast. 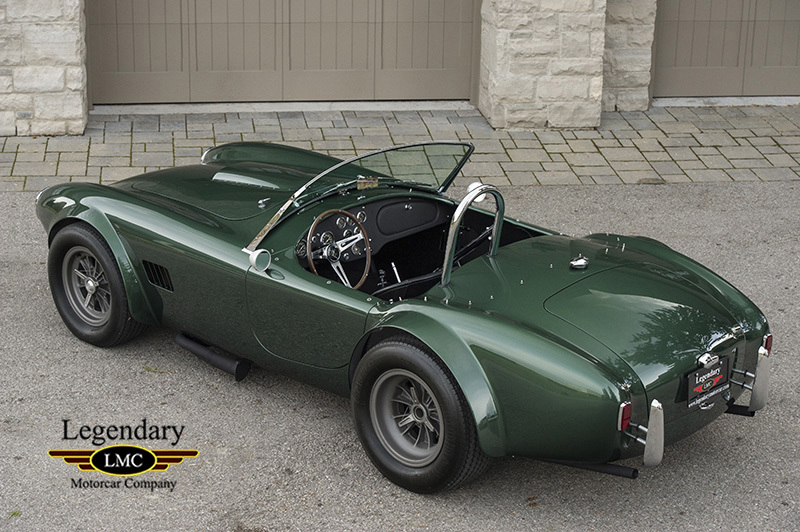 The years of Carroll Shelby and Ford’s partnership created some of the best race and street cars in automotive history. 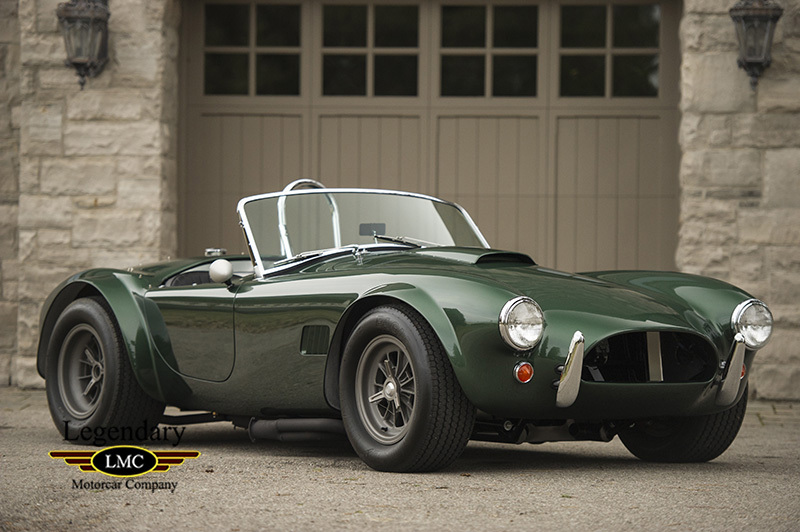 First introduced in 1963, the DragonSnake was Shelby’s offering for the automotive enthusiast who preferred the ¼ mile opposed to the Cobra’s normal road course roots. 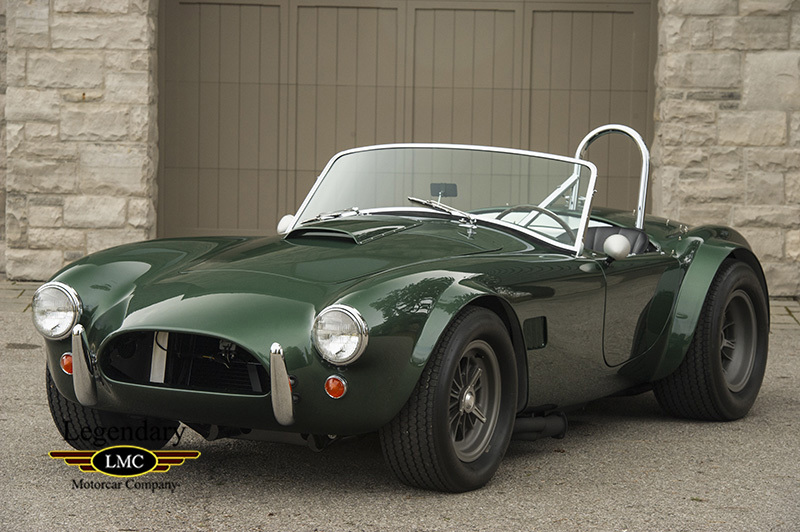 With only four 289ci DragonSnakes ever built, these Cobras are among some of the rarest Shelby offerings around. 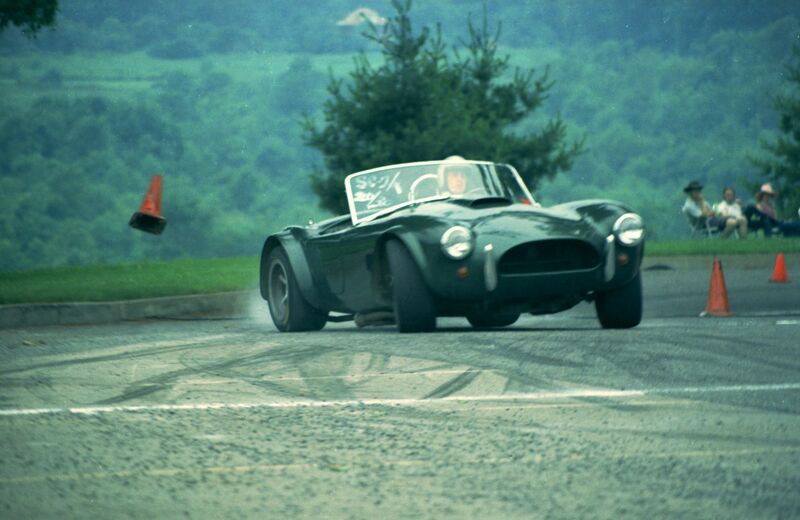 In 1963, three production employees at Shelby American pitched the idea to of creating a company drag car to compete in local competitions. 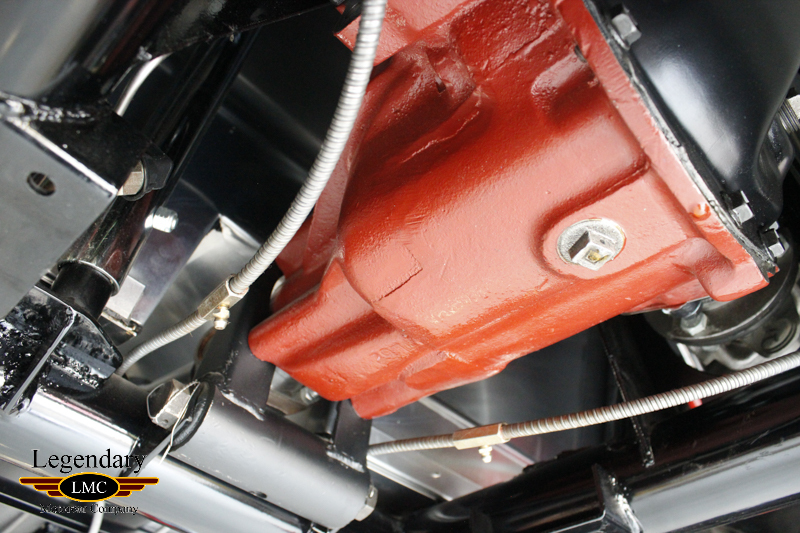 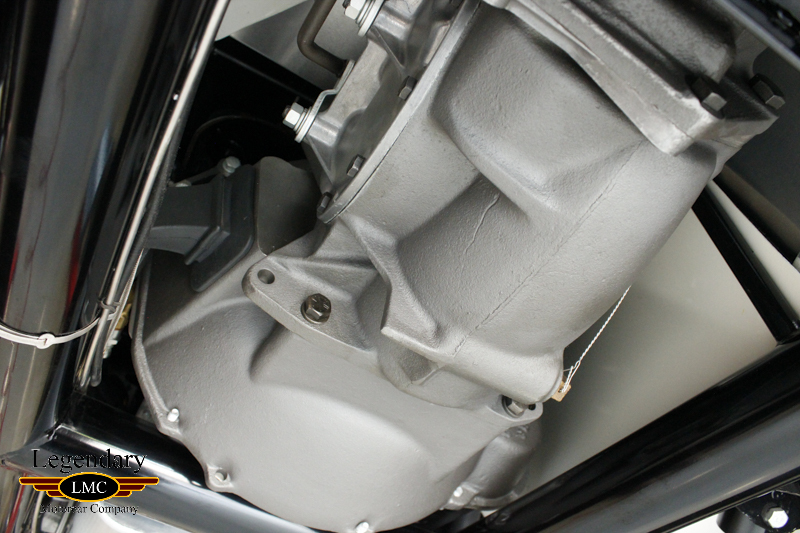 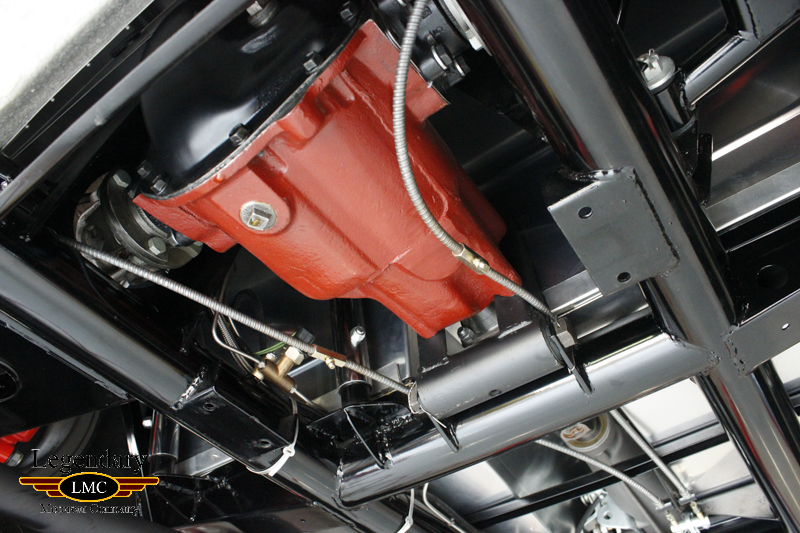 They wanted to build a Ford Fairlane with Hi-Po 289 which they thought would “Go like Stink” prepared correctly. 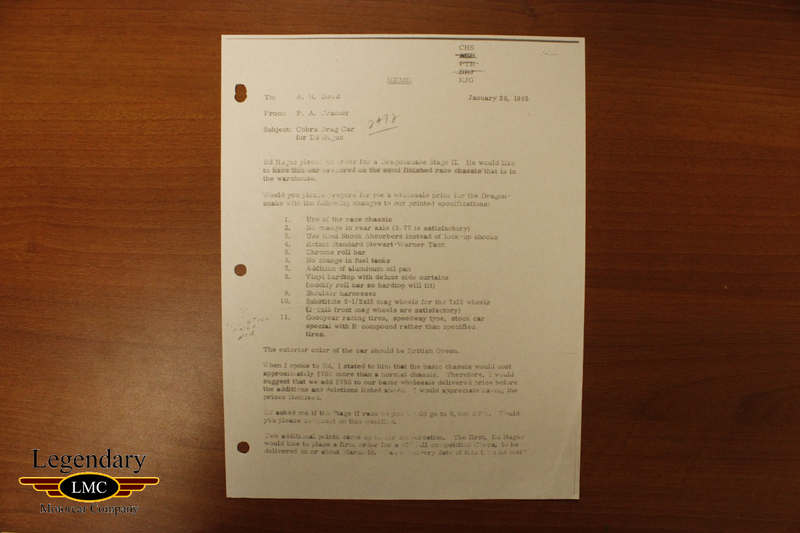 Carroll Shelby knowing the popularity of drag racing in Southern California, approved the program with some stipulations. 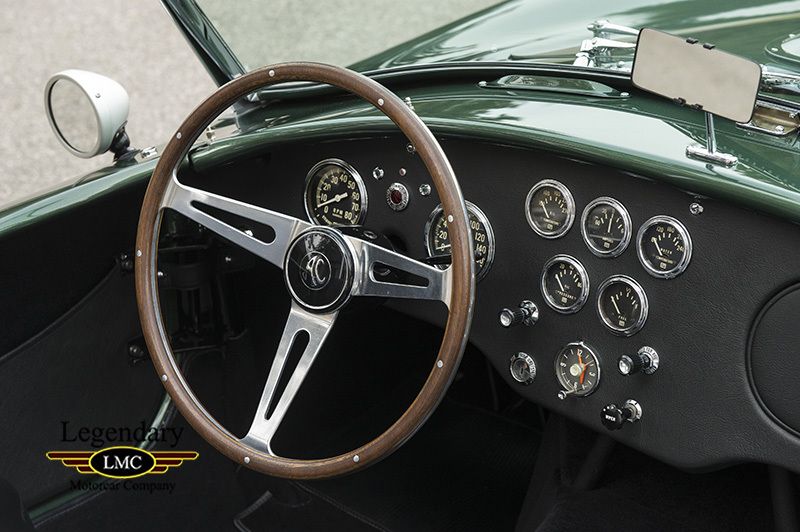 The terms were that the car was to be built on their own personal time, and there was a very limited budget and most importantly they must use a Cobra to race. 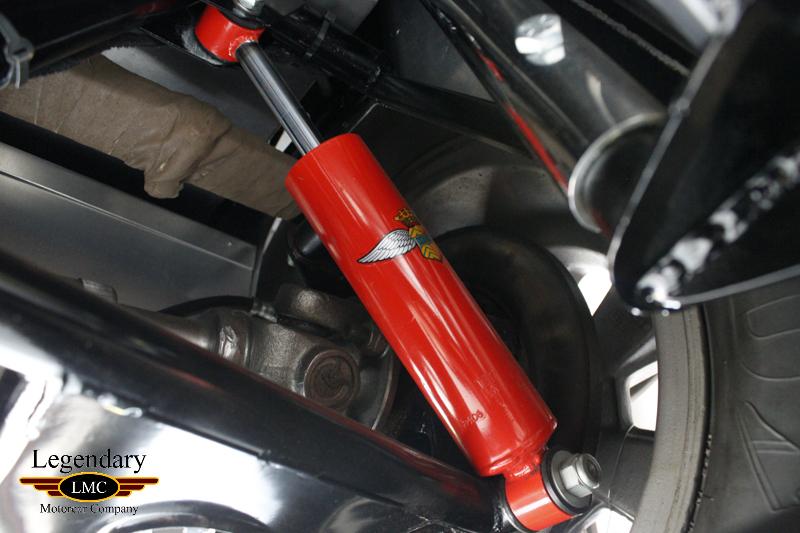 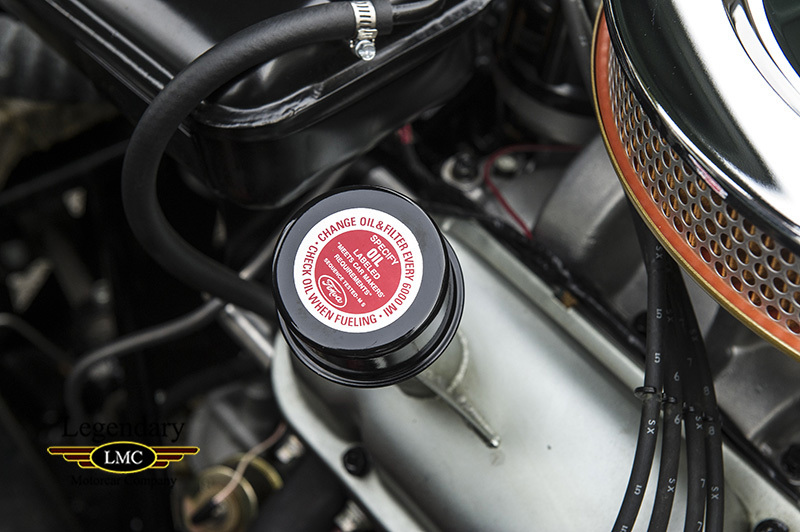 The program was a success and after winning many competitions, Shelby American soon discovered there was a demand for drag race parts and even for a handful of turnkey drag models. 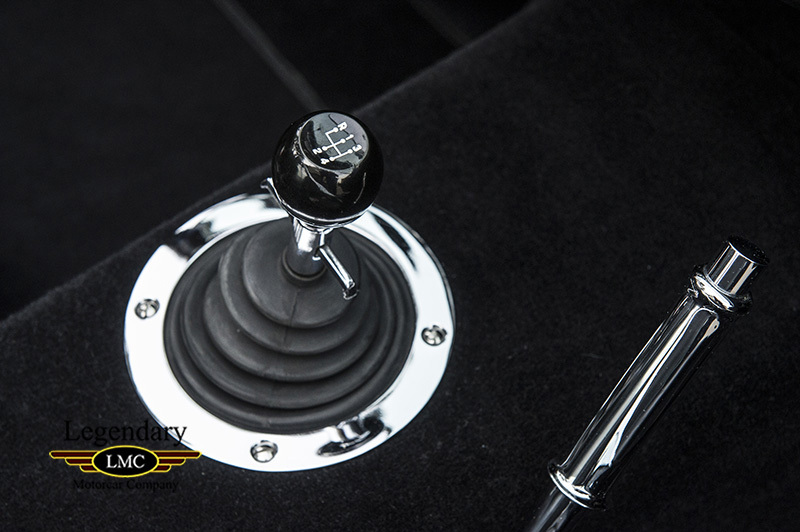 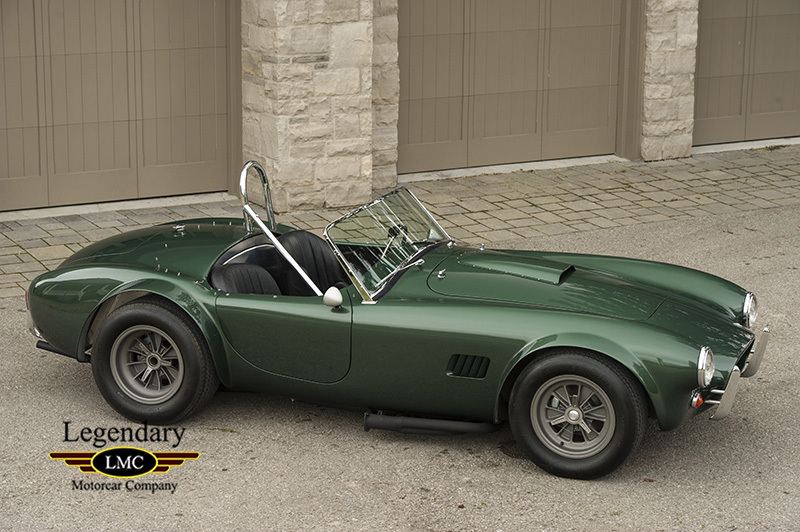 The order for this Cobra was placed on January 26th, 1965 by Ed Hugus of Continental Cars (Pittsburgh, PA) for a “Stage II Dragonsnake”, on behalf of customer Russ Freed. 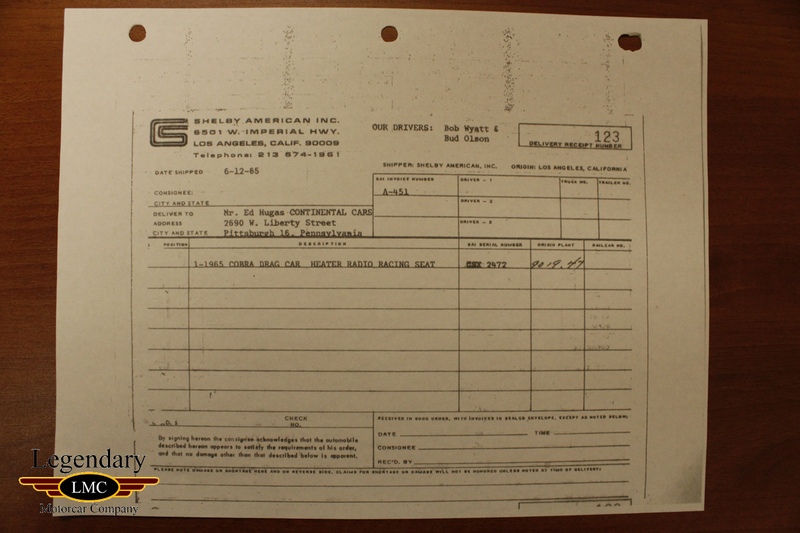 Hugus and Shelby American agreed to use a unfinished team race car that had been stored in the warehouse since the fall of 64’. 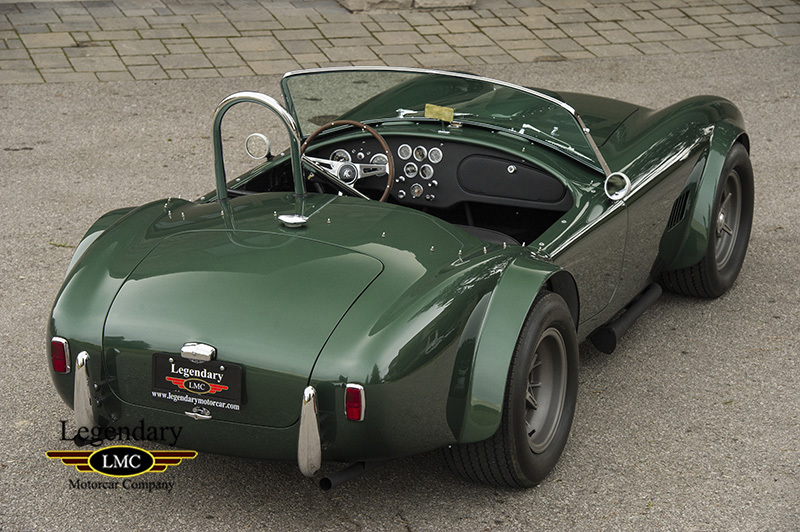 Freed’s order had Shelby American reconfigure the original Cobra Team race car into a “Stage II Dragonsnake” package with special modifications. 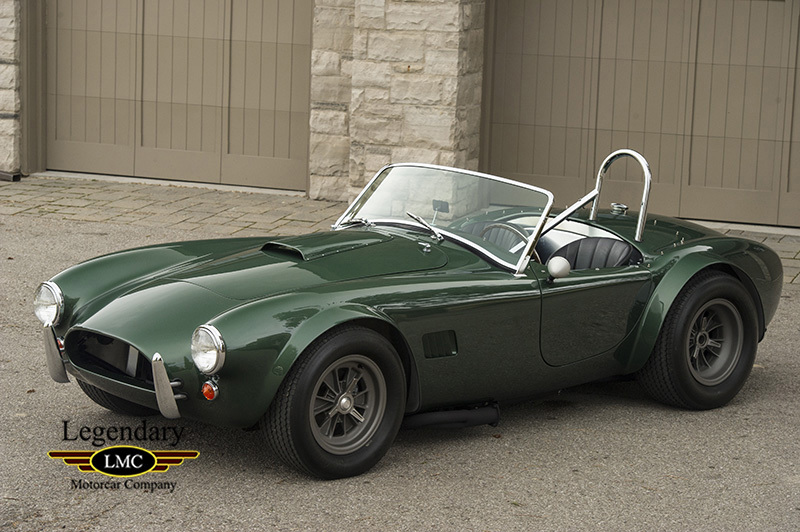 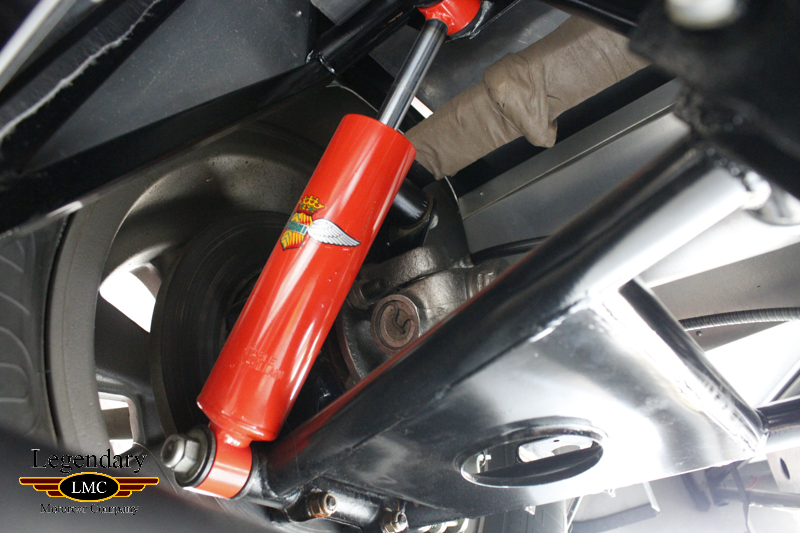 The modifications to the standard Stage II Dragonsnake were as follows: 3.77 rear end, Koni Shocks instead of drag type, Stewart Warner Tachometer, Chrome Roll Bar, Heater, Radio, FIA style wheels, Shoulder harnesses and stock car tires rather than drag specific tires. 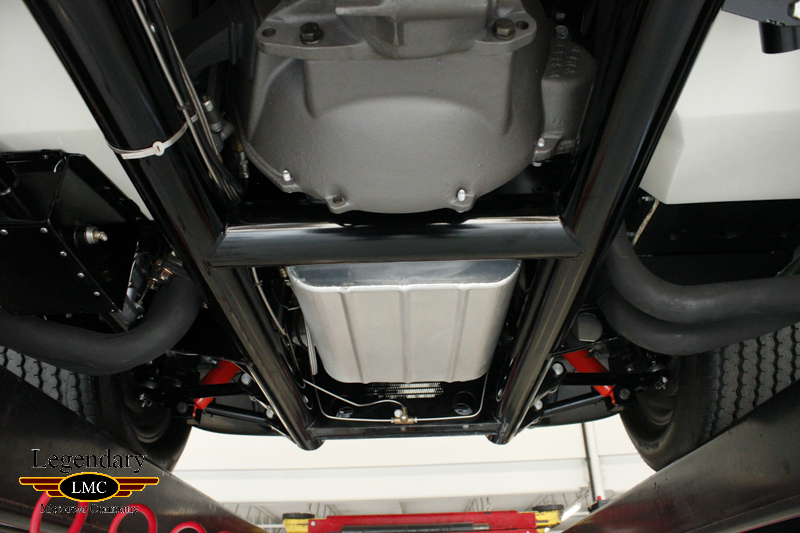 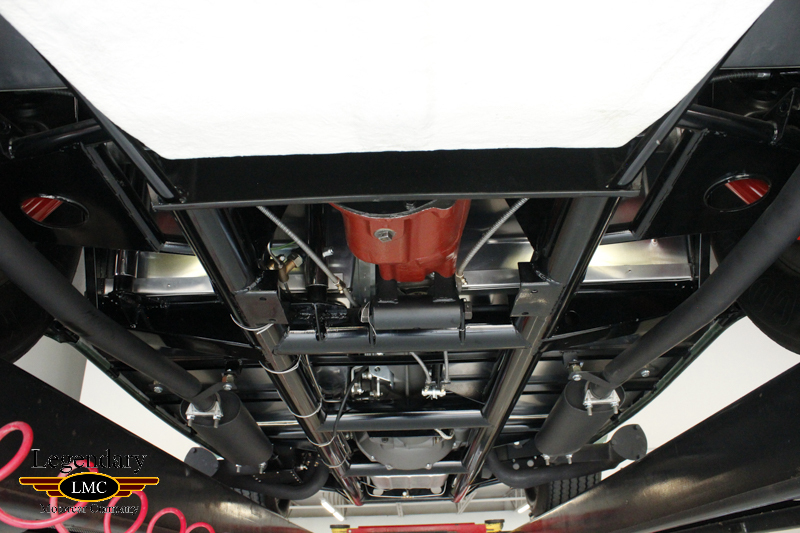 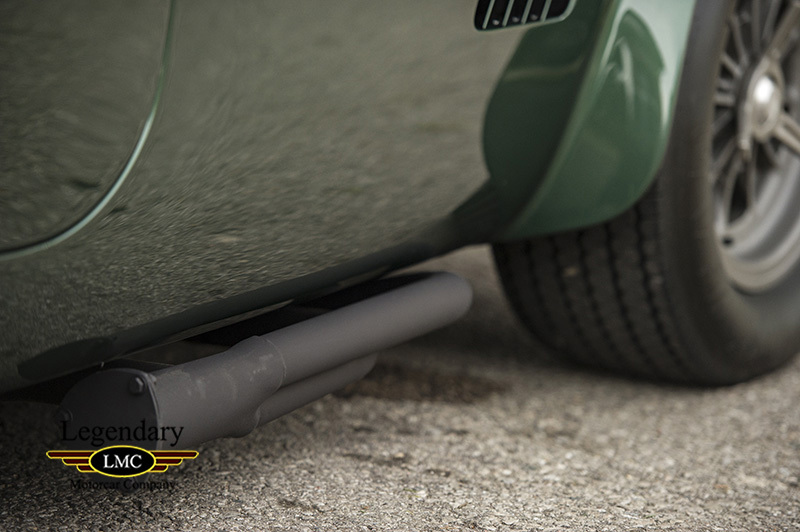 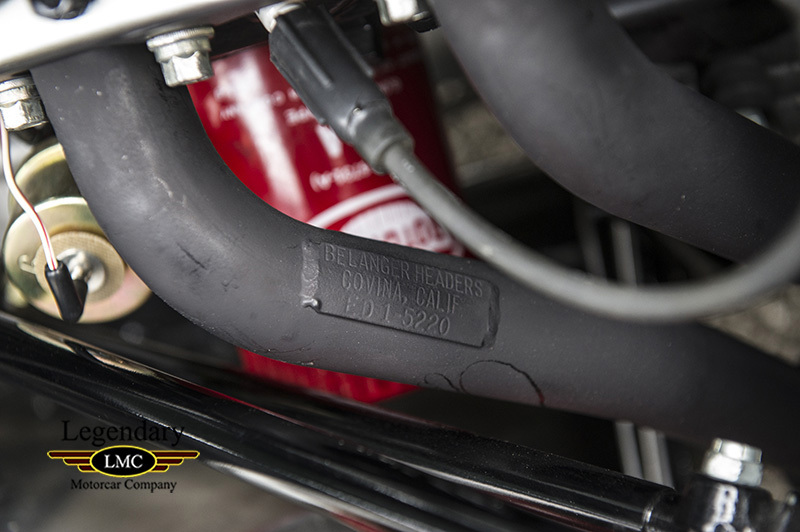 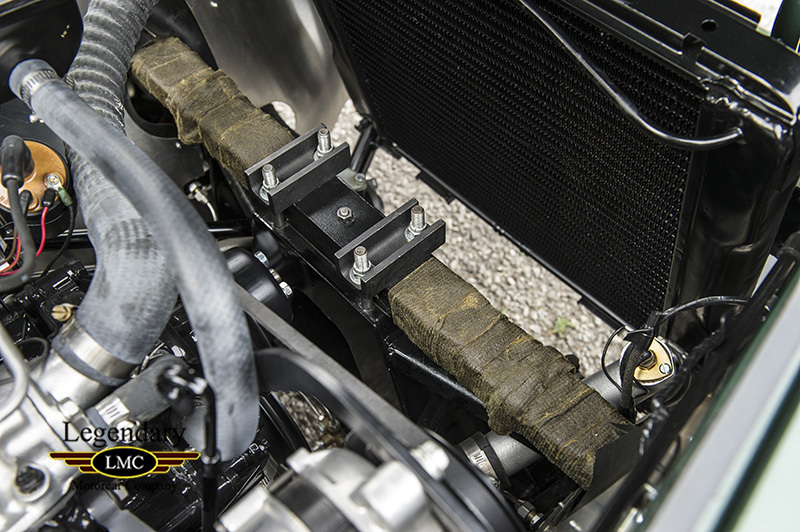 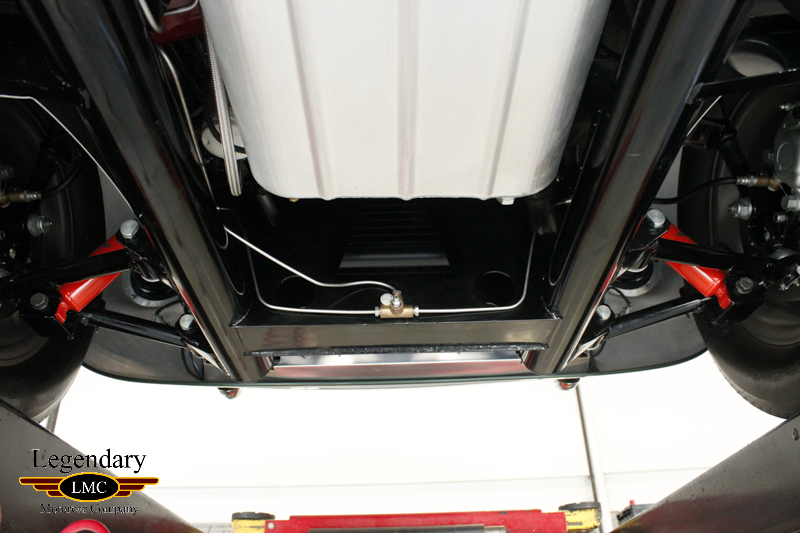 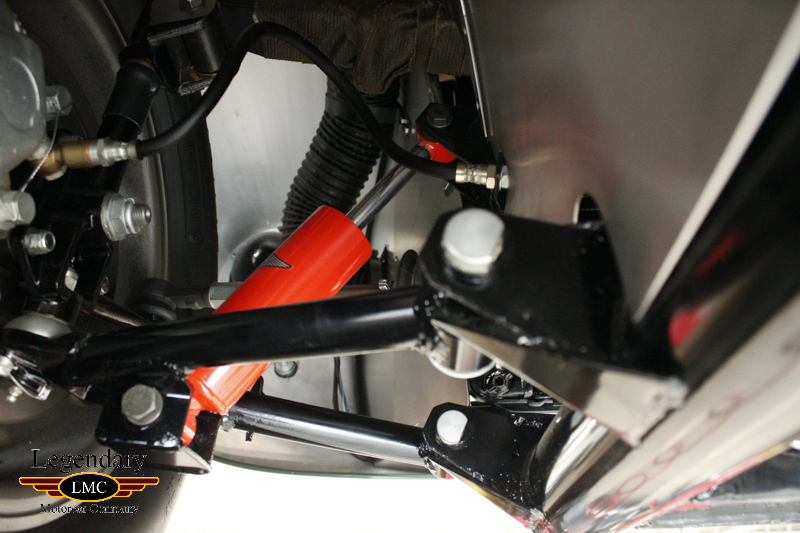 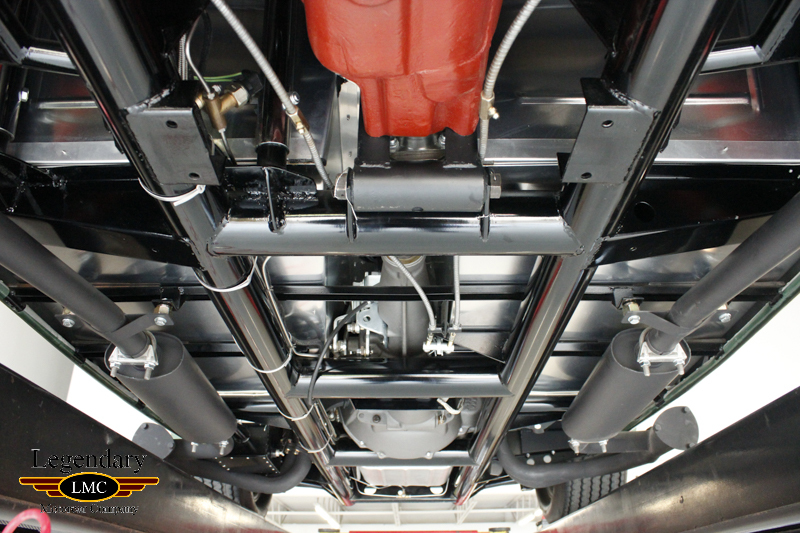 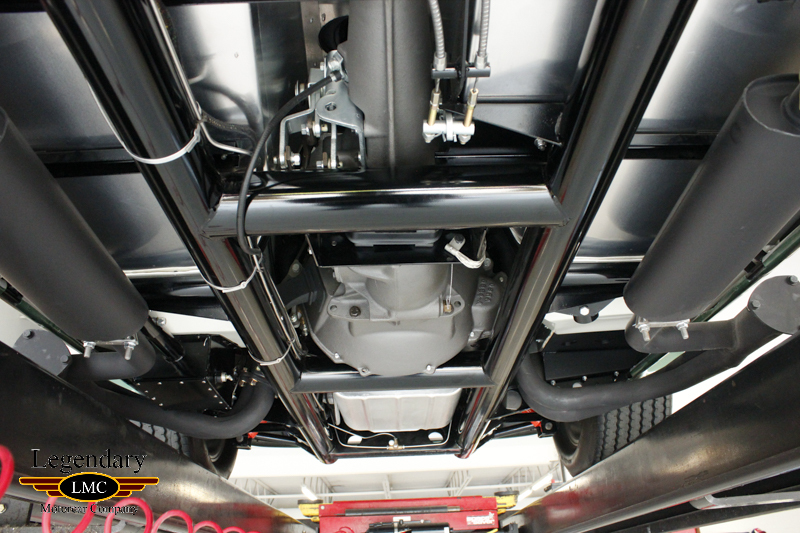 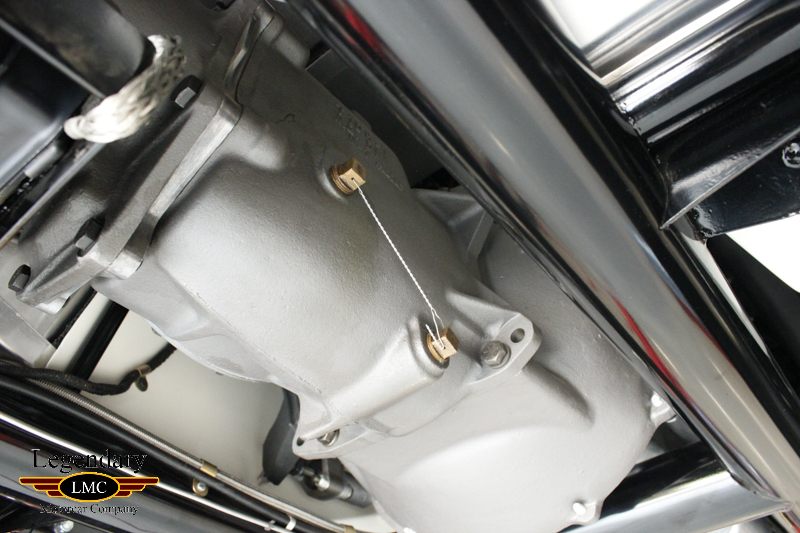 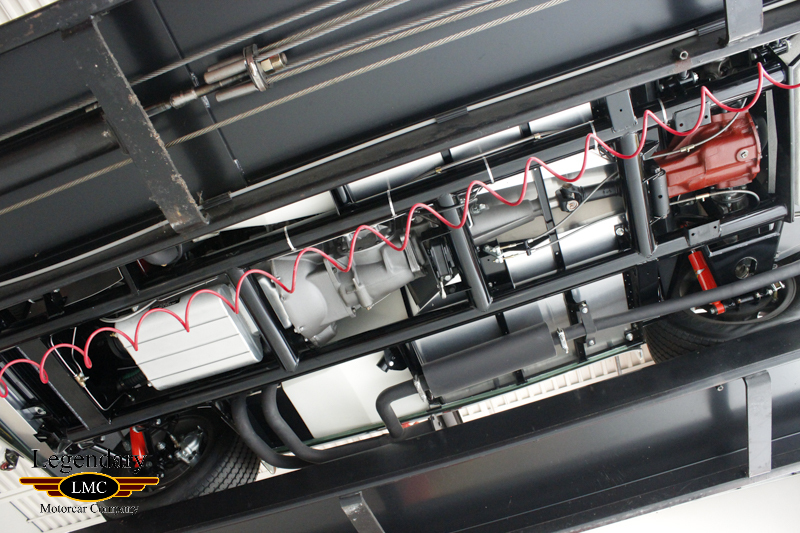 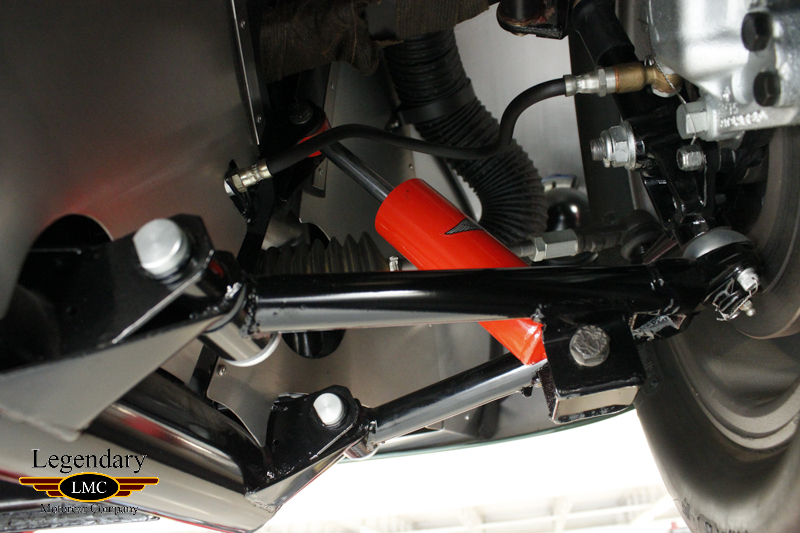 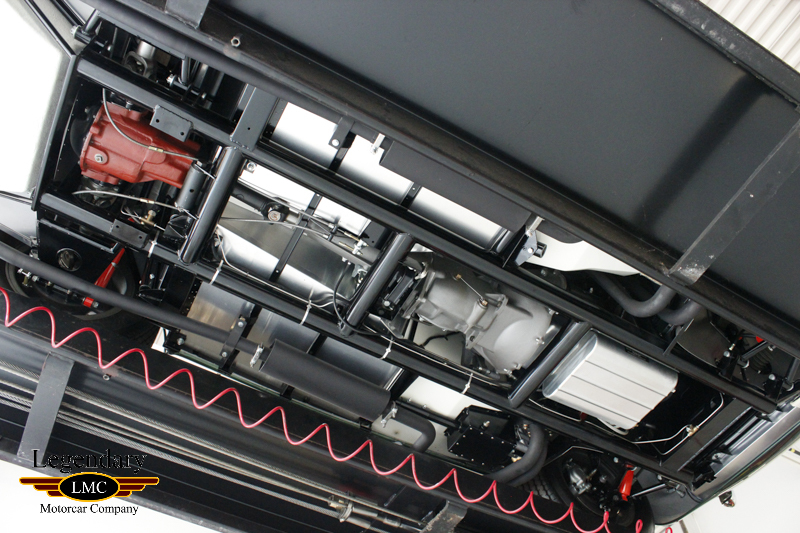 Belanger headers were added which connected to a rear exit street exhaust so you could drive it to the track, take off the side exhaust caps and have a full competition exhaust. 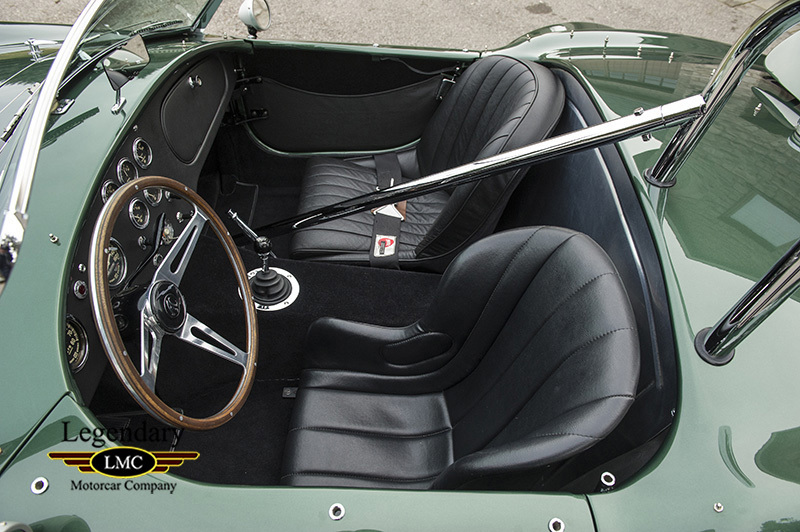 Also, his modifications included a Berry Hardtop with deluxe side curtains and modified Roll Bar so the top will fit. 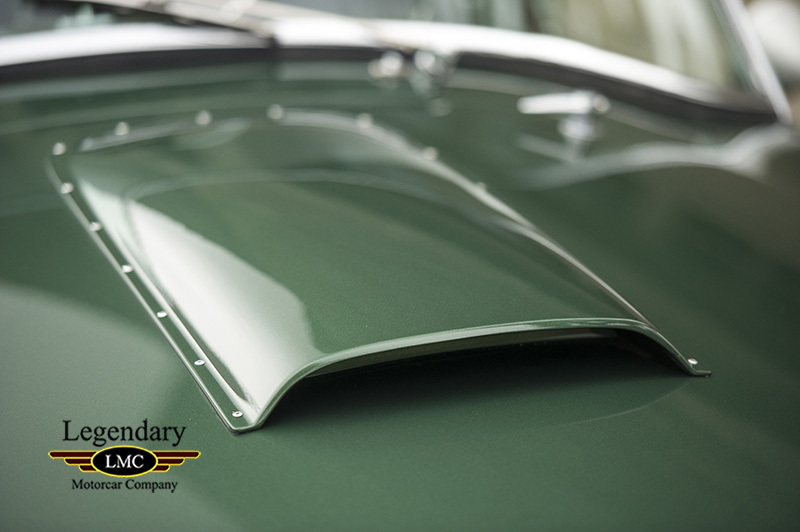 Exterior modifications included factory flared fenders, a hood scoop, badge delete and factory painted in understated British Racing Green. 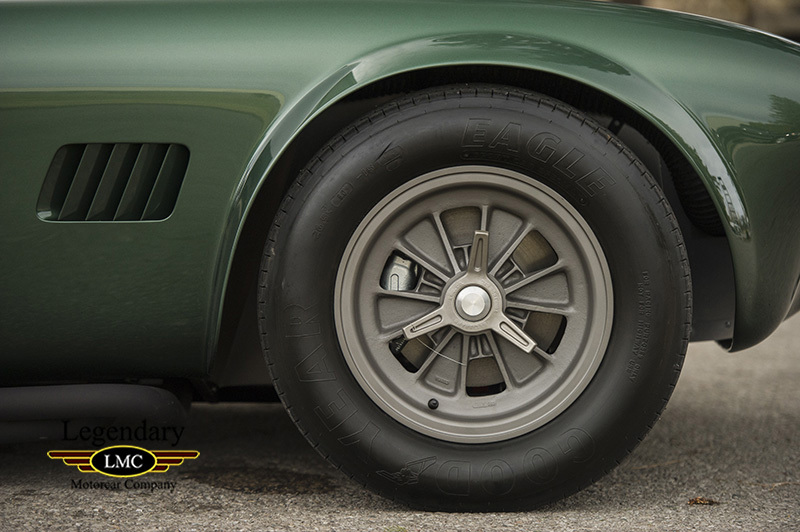 With these options, Freed had created much more of a road-race spec Cobra with the powerplant of the Dragonsnake II package. 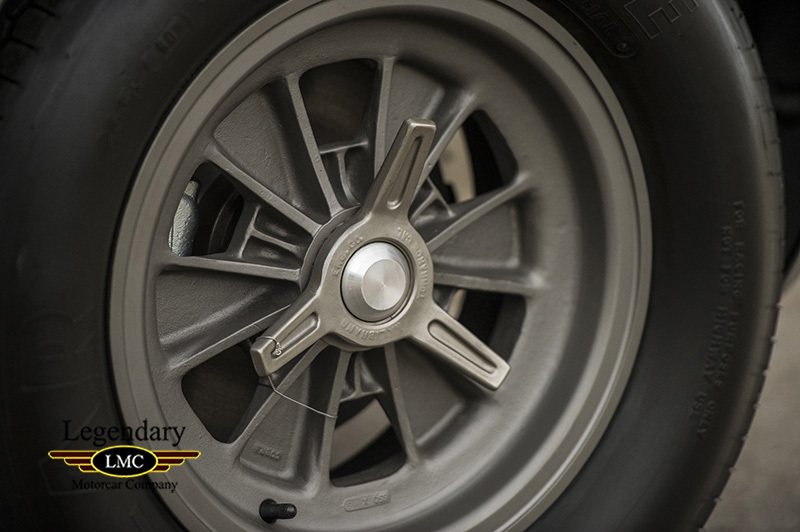 Freed’s version of the Dragonsnake wasn’t prepared as a drag car but, rather a road course car that could be driven on the street with a monster drag engine. 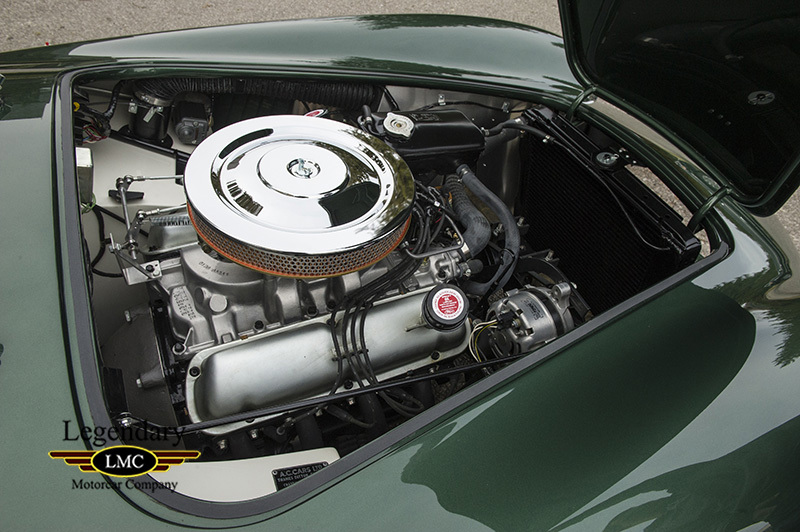 Sounds like he was building a custom 289 version of the 427 S/C (Semi Competition). 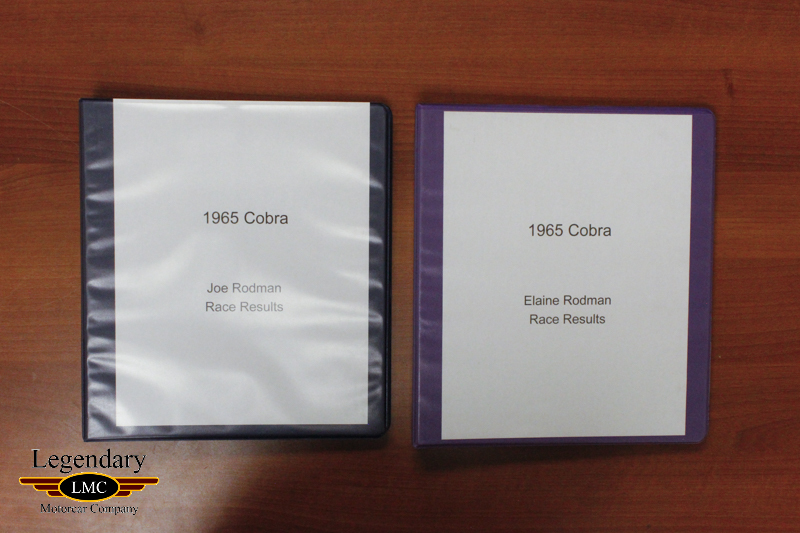 Freed owned and raced the car until 1967, when he sold the street-driven drag Cobra to J.J. Rodman. 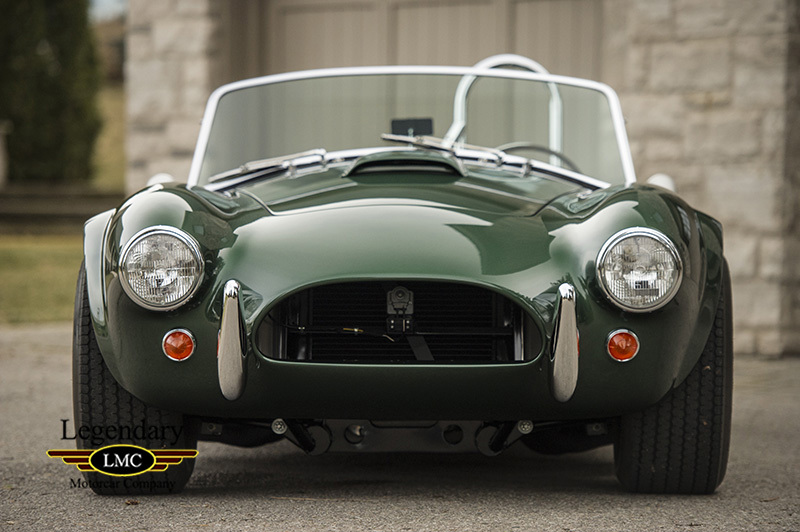 Over the next few years, J.J. and his sister used the Cobra to participate at autocross or hill climb events all through the Northeast. 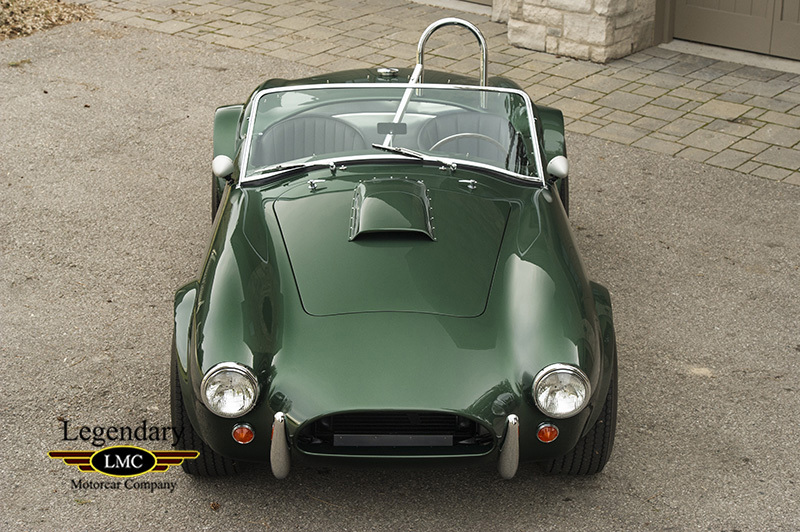 The car’s performance potential, combined with the siblings’ talents behind the wheel, proved a winning combination, and under the Rodman’s ownership the car took home an unequalled amount of trophies.This Dragonsnake has competed in SCCA/ Autocross/ Hill Climbs/ and SVRA for most of its life. 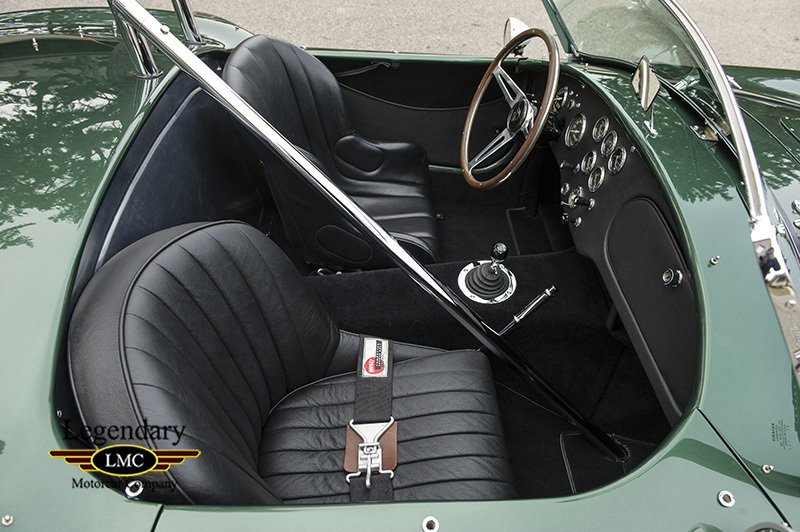 After it’s impressive racing career, having never been damaged in anyway, the car was rewarded with a ground up, no expense spared restoration. 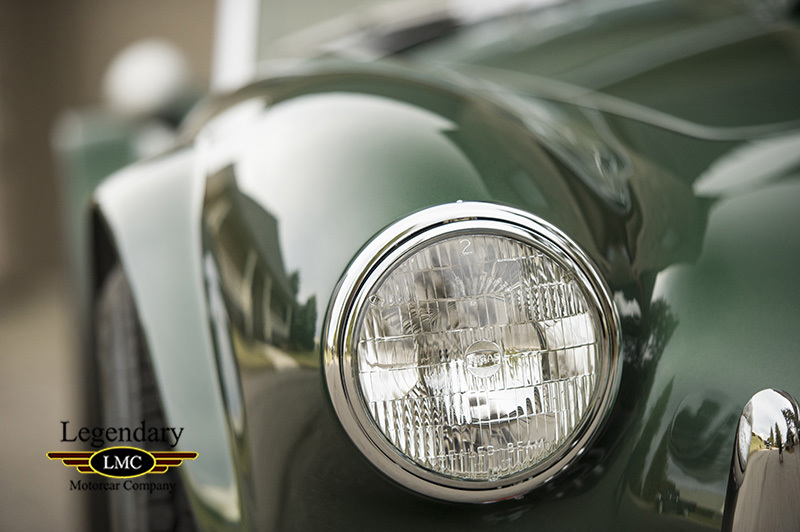 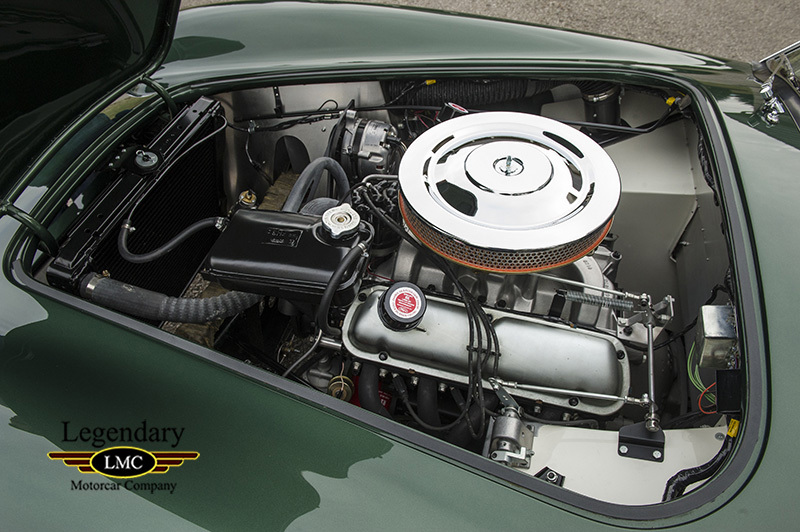 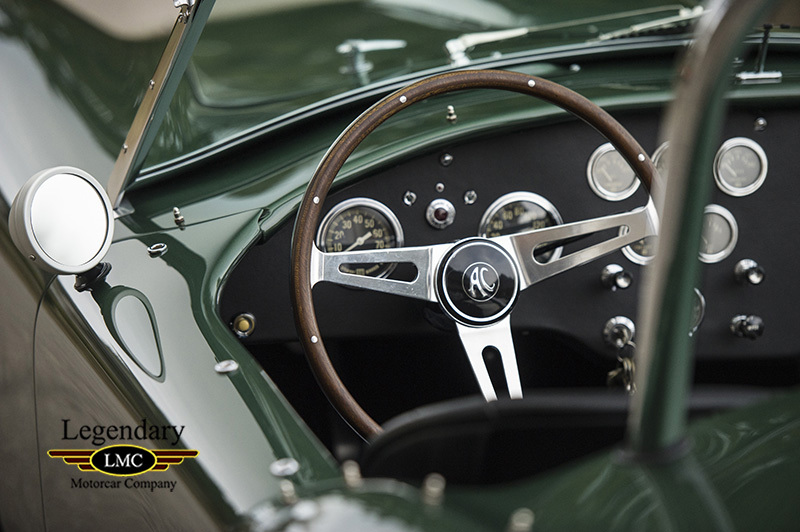 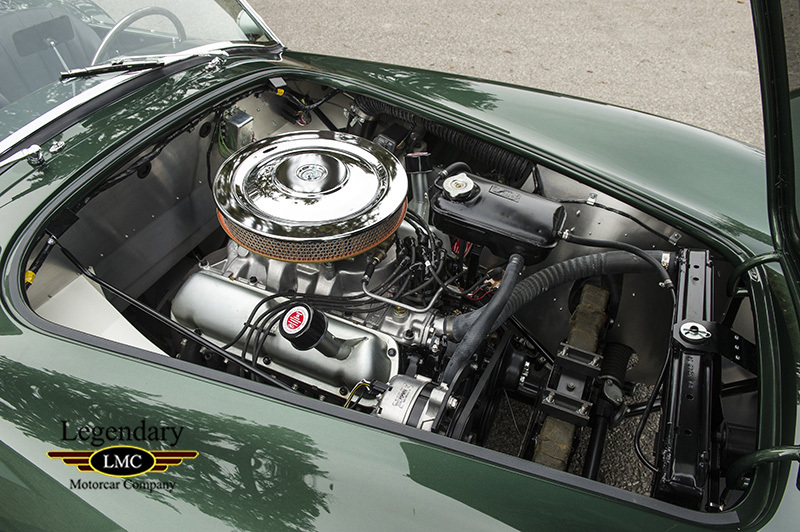 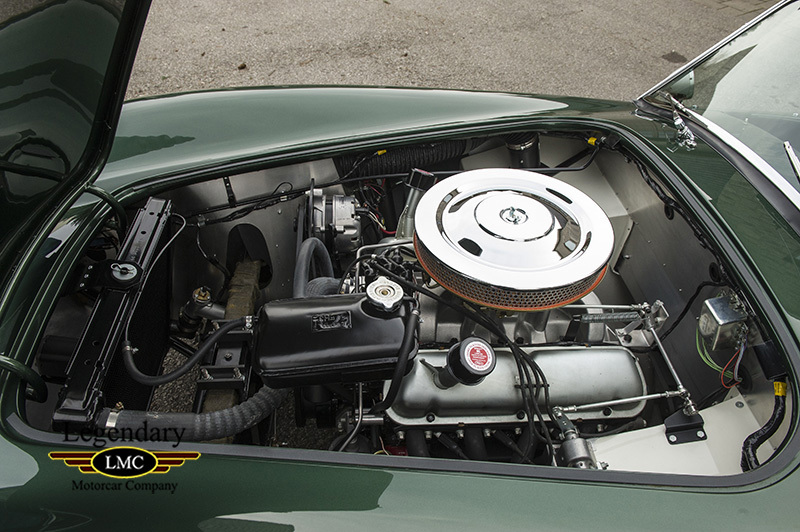 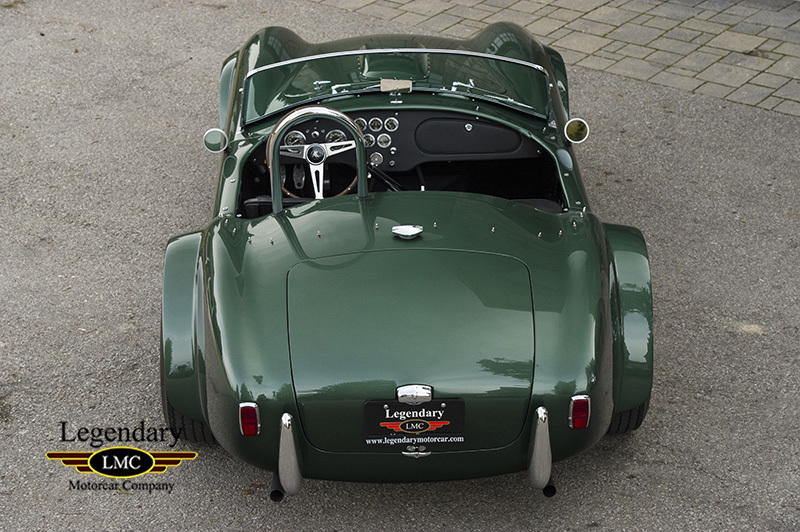 It was finished in its factory original British Racing Green to a concourse quality. 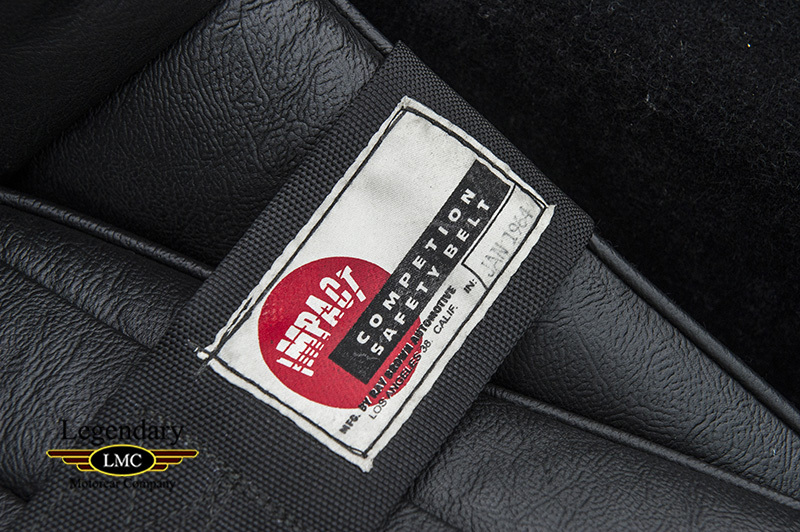 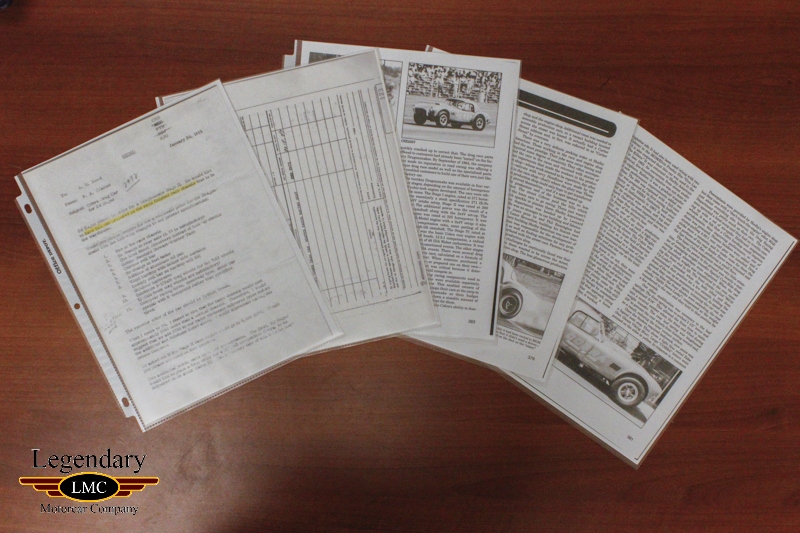 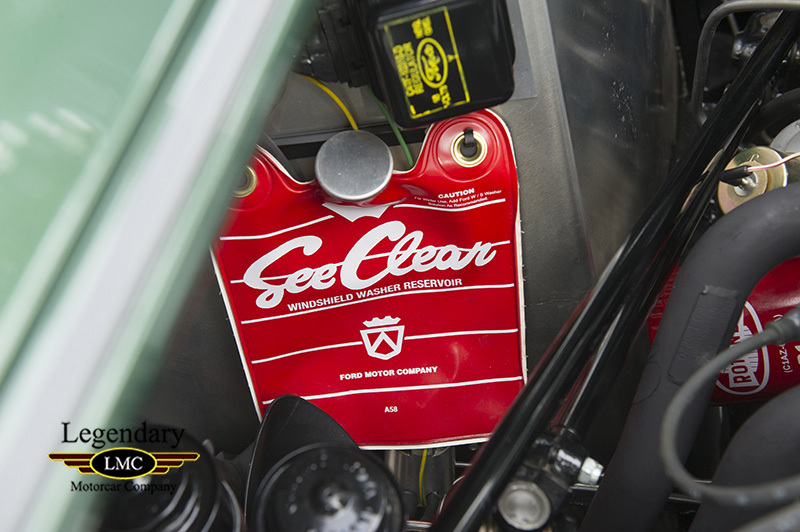 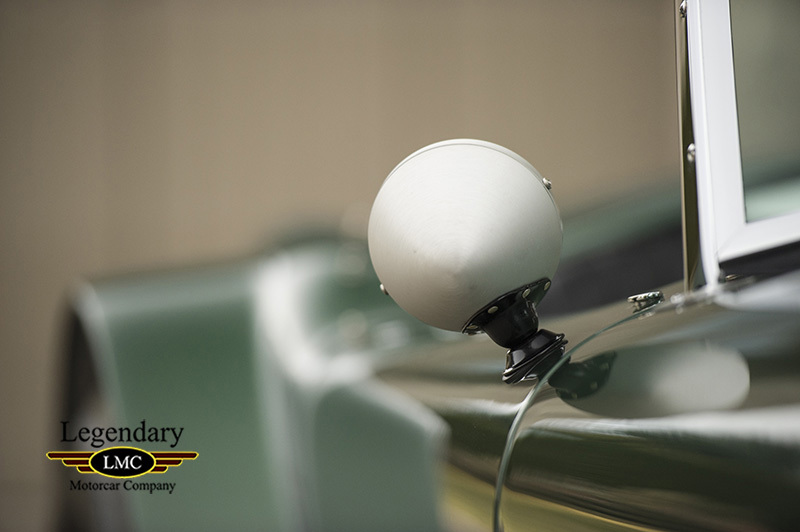 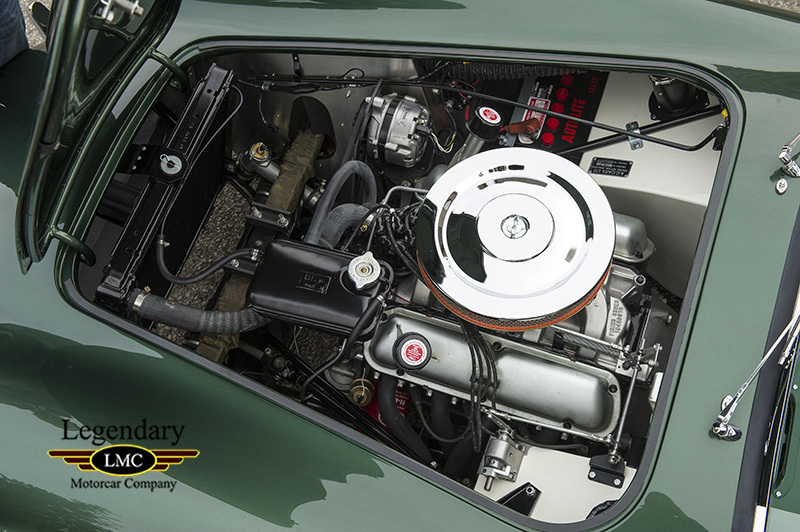 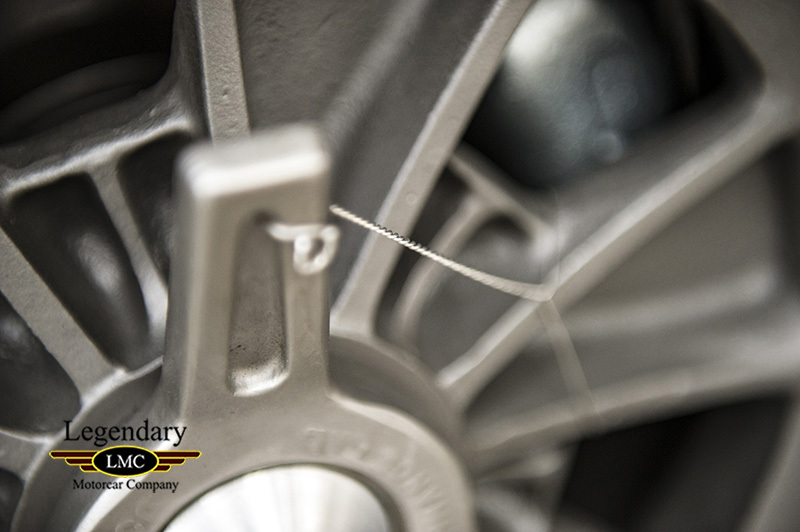 The car retains its current SVRA logbook which documents all the car’s racing history back to 1968. 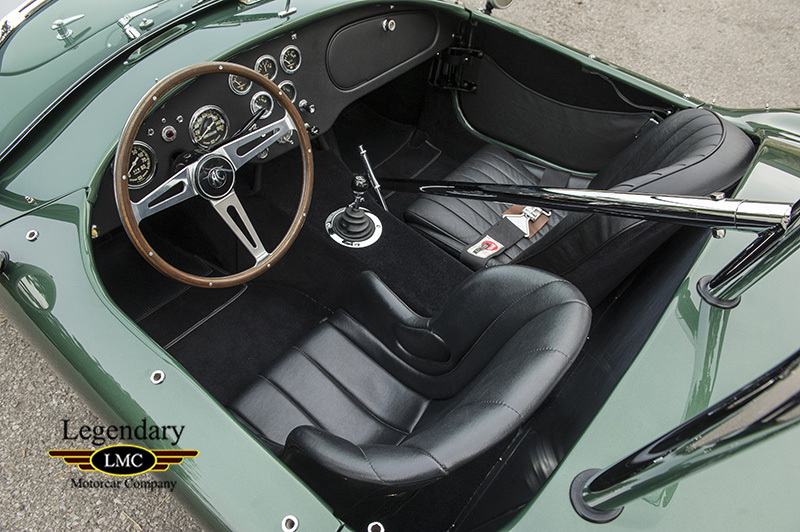 It also has a history of ownership documented from its delivery from Shelby American. 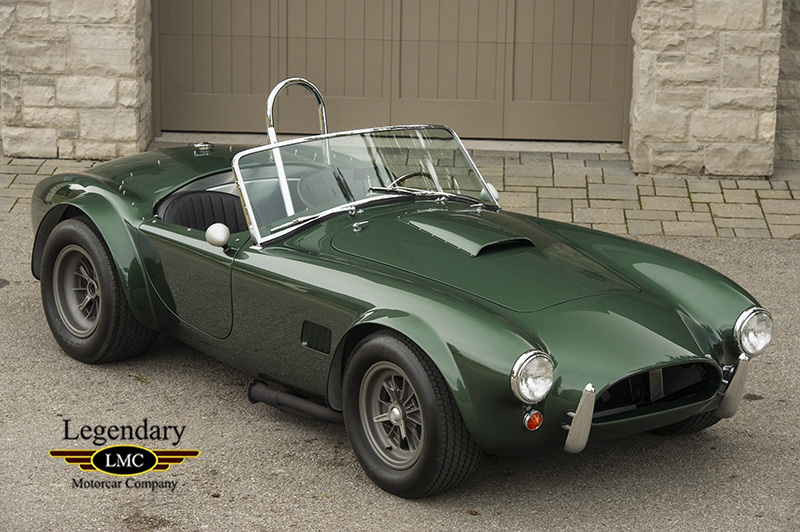 This Dragonsnake is perfect addition to any collection being a very rare factory race Cobra with a remarkable racing pedigree. 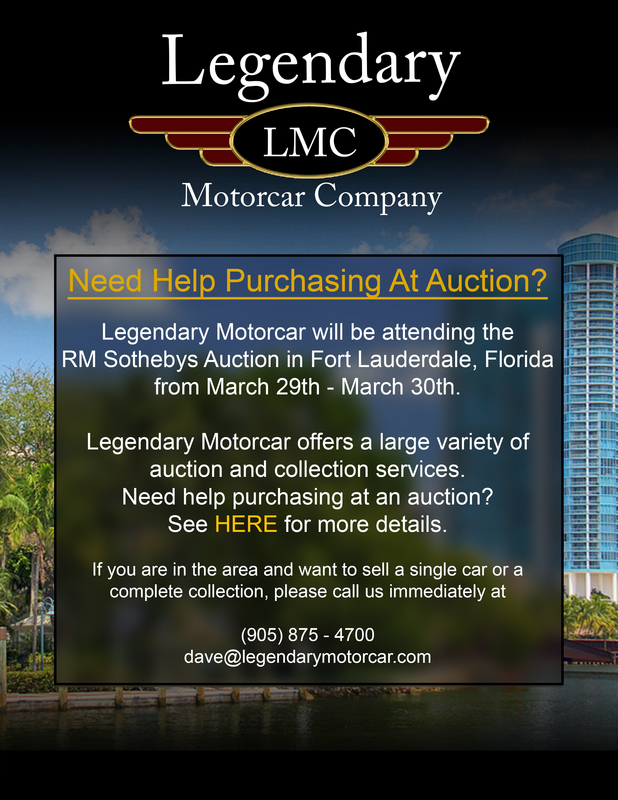 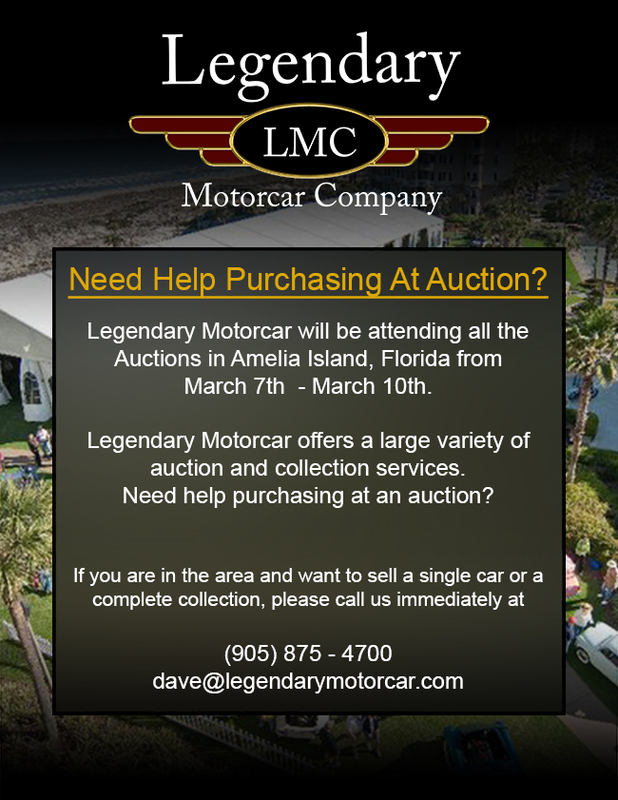 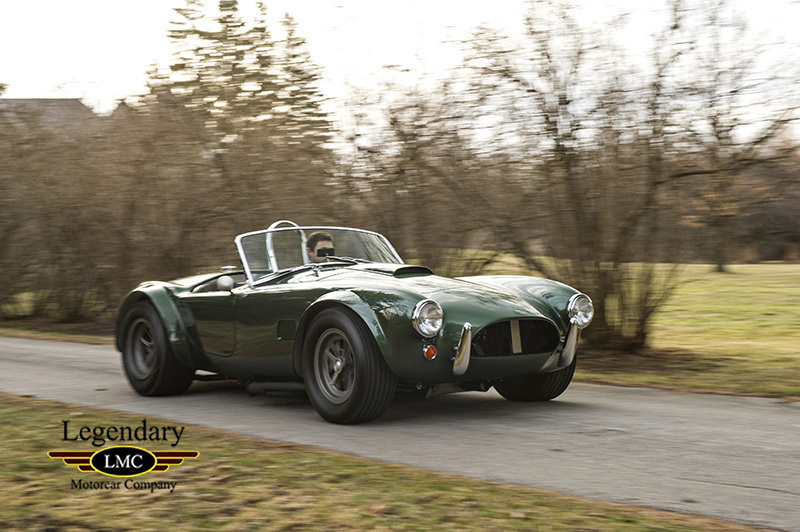 Legendary-Motorcar-Company-Ltd-2018-057 Shelby 1965 Shelby Dragon Snake Cobra 2018-057 0 Legendary Motorcar Company Ltd.